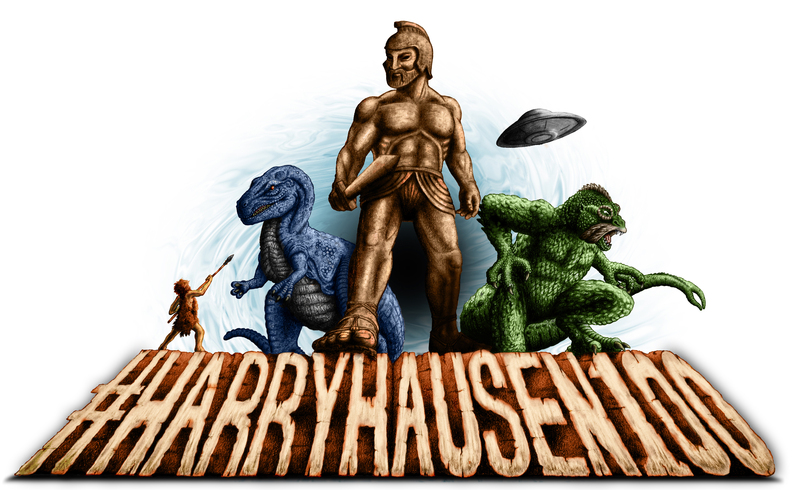 The Ray and Diana Harryhausen Foundation is launching a countdown to Ray’s centenary on the 29th June 2020 with a series of special events and announcements. In celebration of his 100th birthday we will be promoting a series of events and initiatives under the banner #Harryhausen100. In the coming years, we will be showcasing a range of exhibitions, screenings, presentations, blog posts and much more, with an emphasis on the 29th June for special events related to Ray’s birthday. Our archive consists of a treasure trove of material from Ray’s life, ranging from storyboards, paintings and scripts, through to original models, film equipment and plaster moulds. Much of this material has never been seen before, and as such we are aiming to present Ray’s work in a manner through it has never been exhibited in the past where possible. As well as providing such an influence on future filmmakers, we wish to showcase the artistry and genius of Ray’s creations, emphasising his unique talent. We have launched a highly praised podcast with exclusive content from a series of extensive recordings made with Ray covering his life and work which are now part of the Foundation’s film and audio archive. Our shows include retrospectives on classic films, unique interviews, announcements and competitions. These are free to access by the public via iTunes and Soundcloud. Ray’s wife, Diana, had very strong links to Scotland, being the great-great granddaughter of explorer David Livingstone. As one of his last projects, Ray designed a statue of the legendary missionary being attacked by a lion; the statue now sits outside the Livingstone Centre in Blantyre. 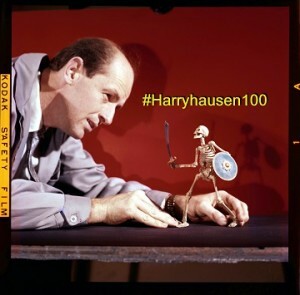 Given these strong links, we have decided to initiate the promotion of #Harryhausen100 in Scotland, in the hope that we can create bespoke events and exhibitions which may not be possible elsewhere; ranging from one off events to presentations, workshops and screenings. Ray passed away in May 2013, but his legacy lives on through his collection of over 50,000 objects, gathered throughout his long film career. The Foundation has been established to protect and promote the life’s work of special effects pioneer Ray Harryhausen, and to educate future generations on the art of stop motion animation. Ray can truly be described as a legend of visual effects, having been responsible for such classics as The 7th Voyage of Sinbad, Jason and the Argonauts, One Million Years BC and Clash of the Titans. He received an Oscar for lifetime achievement in 1992, and has been hailed as a major influence from every major figure in the world of sci-fi and fantasy. 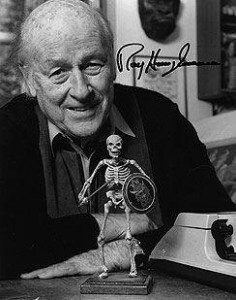 Steven Spielberg, Peter Jackson, Tim Burton, James Cameron, Guillermo Del Toro, Nick Park and so many others have cited Ray as a major inspiration to their careers; George Lucas was quoted as saying “Without Ray Harryhausen, there would likely have been no Star Wars”.